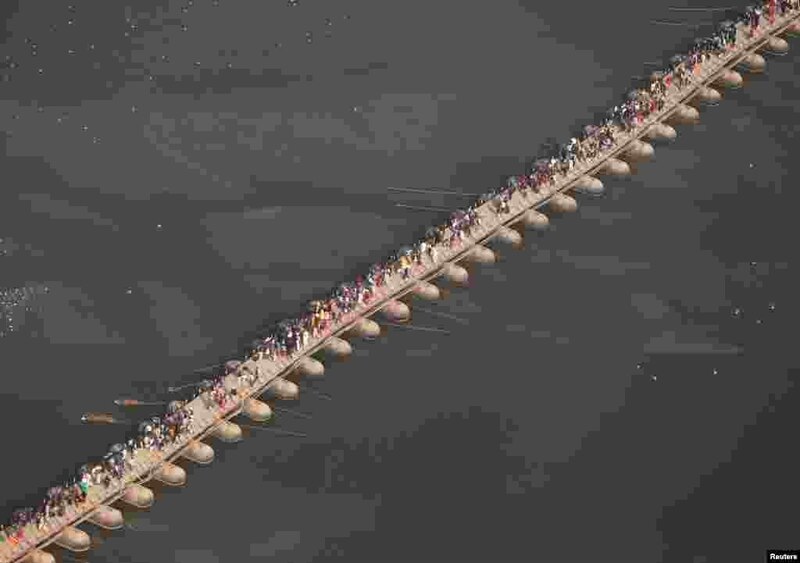 1 Devotees cross a pontoon bridge over the river Ganga during "Kumbh Mela", or the Pitcher Festival, in Prayagraj, previously known as Allahabad, India. 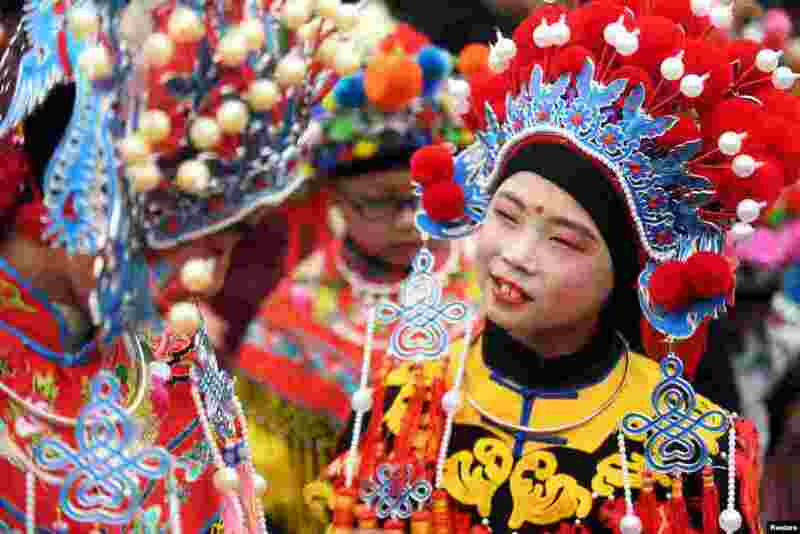 2 Children wearing costumes wait to perform during an event to celebrate the Chinese Lunar New Year, in Nanjing, Jiangsu province, China, Feb. 2, 2019. 3 A member of the Cryophile amateur winter swimmers' club rubs himself with snow after bathing in the icy waters of the Yenisei River during below freezing temperatures in Krasnoyarsk, Russia, Feb. 2, 2019. 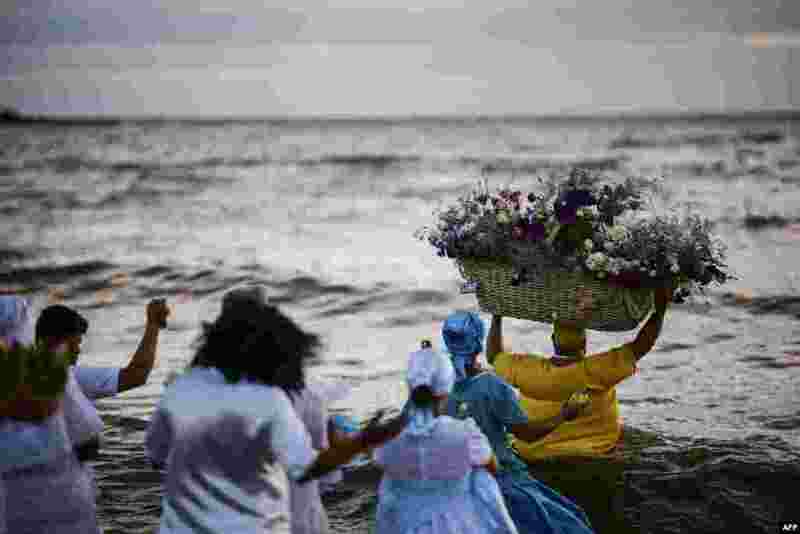 4 A priest of the Afro-American Umbandista cult launches a basket with offerings into the sea to Iemanja, the African goddess of the sea, at Ramirez beach in Montevideo, Feb. 2, 2019.